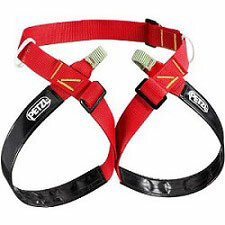 All of MYDE's sit-harnesses are made from anti-abrasion tape. 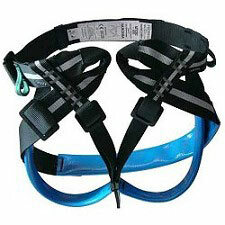 They are reinforced with high-strength PVC at principal wear points. All the equipment loops have been saddle-stitched and positioned to minimise friction. Designed to provide optimum comfort and durability for SRT. 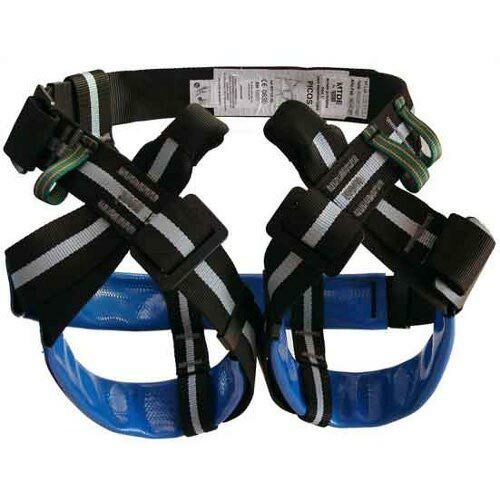 This harness has two major advantages: lowest possible position of main maillon and wider straps providing a more comfortable sitting position (2*44 mm). It must be carefully adjusted for maximum comfort. Adjustable belt and seat strap: 44 mm. 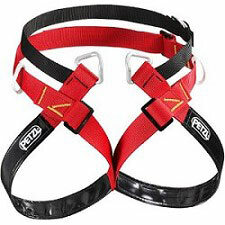 Equipment loops (4): 3 fixed (with safety stitching), one moveable. PVC protection on leg loops and seat strap. Belt size (max.) 112 cm.